Perfectly positioned in Chester City Centre, this penthouse apartment offers a ready to move into finish with a fantastic skyline view! Conveniently situated within walking distance to shops, bars, restaurants and Chester train station, the location box is most definitely ticked! Upon entering you are greeted with a well-maintained communal area, with both stairs and a lift rising to the top floor. Once in the apartment you will appreciate the light and airy feel throughout. The large hallway offers plenty of space and there is ample storage offered within the built-in cupboard. The open plan living area has fabulous French double doors which open onto a Juliette balcony, whilst the real show stopper of this room is the vaulted ceiling, definitely giving this home the wow factor. The room opens through to the modern kitchen that comes complete with all the essential integral appliances. The master bedroom is a good size with plenty of built in storage and again benefits from the impressive view right across Chester, whilst also boasting a modern en suite shower room. The second bedroom has plenty of space for a double bed and has built in storage. Finally the bathroom; this has been fitted with a white three-piece suite featuring chrome fittings and attractive tiling. The property also enjoys the luxury of a secure allocated parking space. An ideal first home or investment! Ethos Court is ideally positioned to take advantage of the many leisure and retail opportunities available in the city. Within the immediate vicinity, you will find reputable bars and restaurants located along the canal, just a couple of minutes walk from the development. These include Barton Rouge, Artichoke, Harkers and Siam Thai & Teppan-yaki restaurants. The Mill Hotel is also close by, where customers can make use of the gym and bar. For commuters, Chester Train Station is a 5 minute walk from the development, offering rail links nationwide. Due for completion in 2017 is the new Bus Terminal, which is again a 5 minute walk. Composite entrance door. Built-in cupboard houses the hot water cylinder tank with additional space for storage. Intercom system. Hatch provides access to loft space. Wall mounted electric heater. Power points. Recessed spotlights. Internal doors lead into the open plan living accommodation, two bedrooms and bathroom. The kitchen is fitted with a modern comprehensive arrangement of wall and base units. The work-surface houses a one and half bowl sink with mixer tap. Power points to the work-surface area. Integral appliances include an electric four ring hob with concealed extractor hood over, oven, larder style fridge-freezer, washing machine and dishwasher. Tiled flooring. Under-counter lighting. Recessed spotlights. Double PVC French doors with feature arched window above open out onto a Juliette balcony to the rear elevation. An additional PVC window to the rear elevation. Built-in modern storage unit with open glass shelving and high gloss cupboards. Two wall mounted electric heaters. TV aerial, telephone and power points. Vaulted ceiling with recessed spotlights, and wall light points. Two PVC windows to the rear elevation. Large built-in wardrobe and an additional built-in cupboard both provide hanging and shelving facilities. Wall mounted electric heater. Power points. Vaulted ceiling with recessed spotlights, and wall light point. Internal door leads into the en suite. Fitted with a three-piece shower suite to include a fully tiled double shower cubicle with mixer shower. Low level WC with concealed flush system. Pedestal washbasin with mixer tap. Part mosaic tiled walls and tiled flooring. Extractor fan. Electric heated towel rail. Recessed spotlights. Two PVC windows to the front elevation. Large built-in wardrobe provides hanging and shelving facilities. Wall mounted electric heater. Power points. Two ceiling light points. The bathroom is fitted with a white three-piece suite to include a panelled bath with hot and cold taps. Low level WC with concealed flush system. Pedestal washbasin with mixer tap. Part mosaic tiled walls and tiled flooring. Extractor fan. Electric heated towel rail. Recessed spotlights. 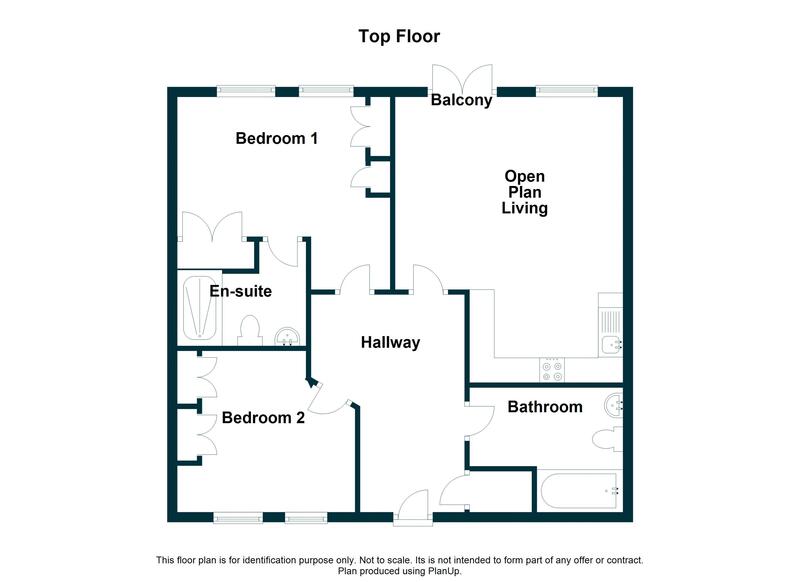 This top floor penthouse apartment can be approached via the lift or stairwell. It benefits from secure gated parking with one designated parking space. From the City Centre, proceed in the direction of Boughton along Foregate Street. Upon reaching The Bars roundabout, take the second exit on to City Road and the development will be seen on the right hand side. View or download the Energy Performance Certificate for City Road, Chester.